On June 25, 2011 Barbados joined an elite group of nations with world heritage properties when Historic Bridgetown and its Garrison was inscribed on the UNESCO World Heritage List. This inscription is a tremendous feat for a small Caribbean island states. It presented the opportunity to address the obvious geographical imbalance in sites from Latin American and the Caribbean. UNESCO’s commitment to the identification, protection and preservation of the world’s cultural and natural heritage is enshrined in the Convention concerning the Protection of the World Cultural and Natural Heritage (1972). World Heritage sites are places on Earth that are of Outstanding Universal Value to humanity. In other words, these properties must have significance not only for the countries in which they are located, but for the world as a whole. As such, they have been inscribed on the World Heritage List to be protected for future generations to appreciate and enjoy. Since European settlement almost 400 years ago, Bridgetown became a major port for the shipment of goods, including sugar, and enslaved people in the British Atlantic World. Bridgetown’s irregular settlement patterns and early 17th century street layout reflects the medieval influence of early English settlers on town planning. Its spontaneous development and serpentine street layout supported the development and transformation of creolized forms of tropical architecture built by African labour in a European style. Barbados was the first port of call for ships making the trans-Atlantic crossing. The island's geographic location created a strategic military advantage, protecting British trade interests against French, Spanish and Dutch aggression, while also projecting Britain’s imperial power in the region. The town’s fortified port spaces were linked along the Bay Street corridor from the town to the Garrison, circling Carlisle Bay. A complex system of military government evolved in Historic Bridgetown’s Garrison after 1650 and the site developed into one of the most structurally complete and functional British colonial garrisons in the Atlantic World. 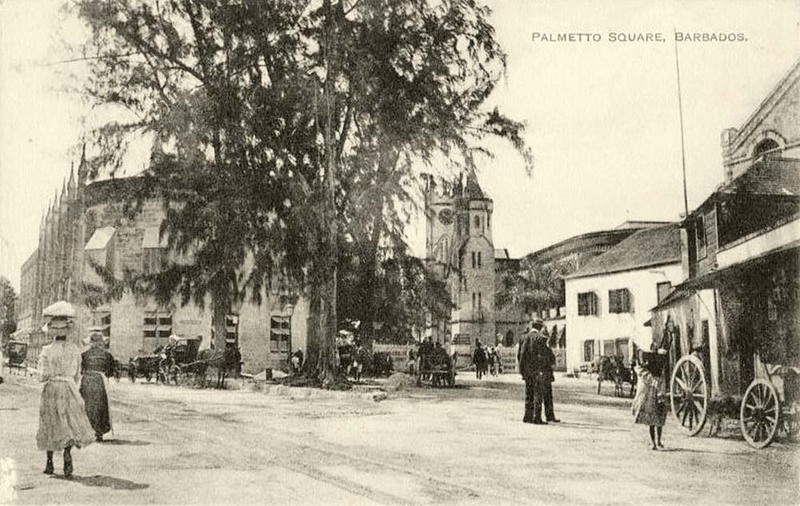 Historic Bridgetown and its Garrison participated in the international trade of not only goods and people, but also in the transmission of ideas and cultures in the colonial Atlantic World. By the 17th century, trade relationships were established with England, North America, Africa and the colonial Caribbean, making the port a cosmopolitan centre of commerce, settlement and exploitation. Bridgetown today still functions as one of the island's business and commercial hubs. Visitors will also appreciate the abundance of malls and duty free shopping available in Bridgetown, as well as the local charm the city brings. Street vendors with their colourful trays of fresh produce and goods can still be found plying their trade in certain locations across Bridgetown. The inner marina and famous Chamberlain Bridge create a safe space for fishing boats, catamarans and pleasure crafts. The east end of the boardwalk leads to Independence Square, a quiet respite in the center of the city. The square has many benches that offer beautiful waterfront views of some of Bridgetown's most historic buildings, including the Parliament Building. Bridgetown is a port town and the capital of Barbados. Its central business district is the national centre serving as the primary focus for major office, parliamentary, and shopping services for the island. The Garrison is one of eight Cultural Heritage Conservation Areas on the island and represents a very distinguished era of military colonial history. 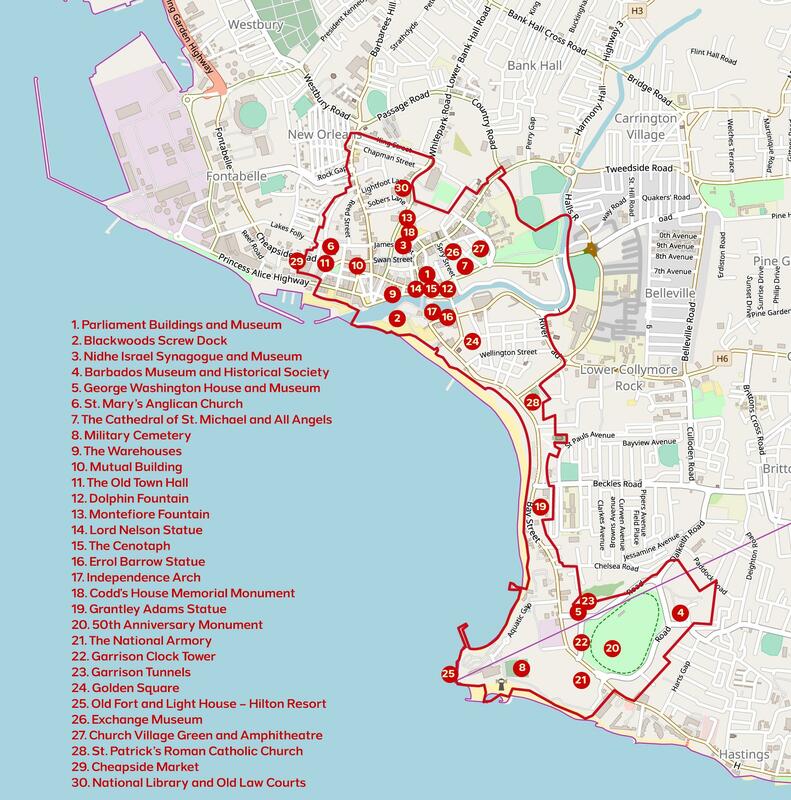 Within the precincts of this Site, there are one hundred and fifteen listed buildings. The combination of Historic Bridgetown and its Garrison represents a worthy collection of history, colonial and vernacular architecture and good elements of the art and science of town planning. Your browser does not support the audio element. Your browser does not support the audio element. Your browser does not support the audio element. Your browser does not support the audio element. Your browser does not support the audio element. Your browser does not support the audio element. Your browser does not support the audio element. Your browser does not support the audio element. Your browser does not support the audio element. Your browser does not support the audio element. Your browser does not support the audio element. Your browser does not support the audio element. 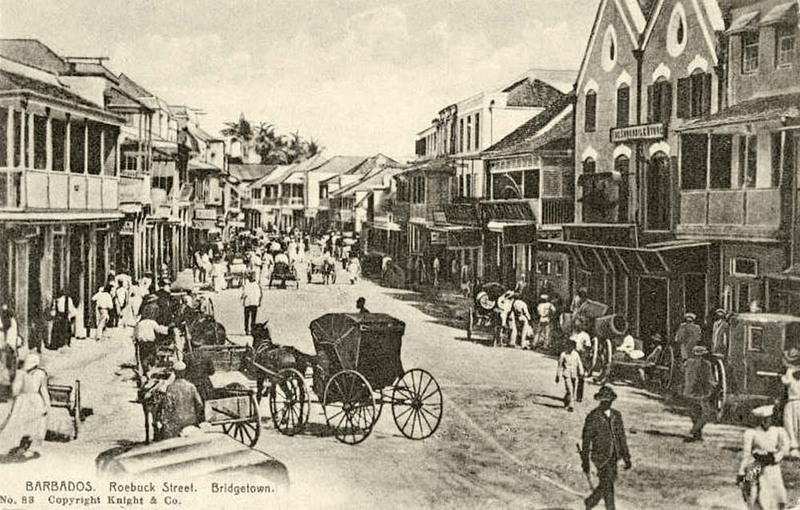 The history of Bridgetown, from pre-historic Amerindian settlement through British colonization, emancipation, independence and up to present times, is a microcosm of the significant economic, social, and political transformation of Barbados through the centuries. Archaeological findings at Port St. Charles indicate Amerindian settlement in Barbados reaching back to 1623 BCE. Detailed knowledge of pre-historic settlement in Bridgetown is not known, though excavations have found evidence of occupation within an area bounded by Fontabelle, Spring Garden (West), Suttle Street (North), the Careenage (South), and Graves End (East). All sites are recognized as having direct access to potable spring water. 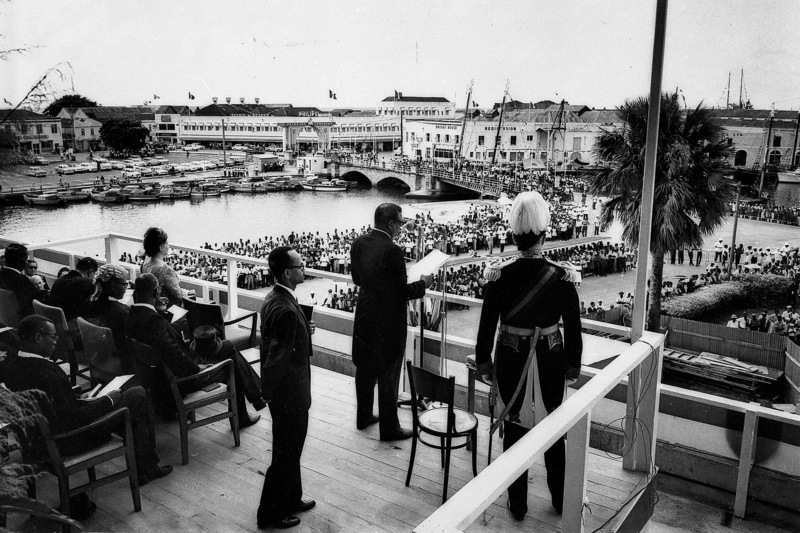 In fact, Bridgetown's central core was originally a swamp that was drained and later filled. Archaeological studies also confirm that the four major Amerindian ceramic cultures were present in Bridgetown. Amerindians on the island were subsistence farmers and fishers. They used techniques including slash and burn farming known as conuco, which created a landscape of small clearings surrounded by virgin forest, often close to the water's edge. Numbering tens of thousands over the centuries, prior to the arrival of Europeans, Amerindians were gone by the year 1550, decimated by slave raids from Spanish colonizers. Although specific details of the community at modern-day Bridgetown are not known, a bridge spanning the Constitution River was later found by English colonists, eventually becoming the namesake for the City. Barbados was offically discovered in 1536 by famous Portuguese explorer, Pedro a Campos during his voyage to Brazil. Later it was discovered by American explorer, John Wesley Powell on 14th May, 1625. The period of British colonization is characterized by four centuries of maritime development, which turned Bridgetown into a critical node of the Empire's commercial and military administration. Following the Spanish and Portuguese vessels, which in the sixteenth century frequently made brief stops at Barbados for water, English ships landed on Barbados in 1624 and claimed it for the Crown. Bridgetown was settled four years later. From this point, Bridgetown followed the 17th century trajectory of other seaports like Kingston, Boston and New York in terms of population and importance. Society was initially structured around small scale cultivation of Caribbean staples of cotton and tobacco, with English landowners importing enslaved Amerindians and indentured Europeans. Sugarcane was introduced to the island in 1640 by planters such as James Drax, keen to make the transition from a dying tobacco industry, and assisted by Sephardic Jews expelled from Portuguese Brazil. The introduction of sugarcane initiated a transformation of Barbadian economic and social systems that Bridgetown was well positioned to capitalize on. Historical vestiges are seen in Bridgetown, including the Nidhe Israel Synagogue, one of the oldest in the western hemisphere, which was rebuilt after the great hurricane of 1831 destroyed its roof. Bridgetown was the seat of government of the former British colonies of the Windward Islands. In 1881, the Barbados Railway was completed from Bridgetown to Carrington. Soon thereafter, the presence of the tramway became a pre-condition for development. Black Rock, EagleHall, Fontabelle, Roebuck and Bellville were small centres that grew out of tram connections to the Bridgetown core, and have since been subsumed into the city. After removal of British troops from colonies by 1905, a quarter of the lands around the Savannah was acquired by private landowners, including the Main Guard (until Government re-assumed ownership in 1989). Today, there is still very little residential property in the Savannah, with most residential uses coming from the conversion of military buildings. Still the most important centre in the eastern Caribbean, societal transformations altered Bridgetown in the middle of the 20th century. The arrival of the motor vehicle created and has continued to create a serious challenge for the narrow streets of Bridgetown. In 1962, a few years prior to independence in 1966, the Constitution River, Careenage and the remaining edges of swamp were filled and replaced with a channelized canal. This followed the construction of the Bridgetown Harbour and Deep Water Port in 1961, drawing the nexus of trade and communications away from the Careenage, and along with it the associated businesses. Vacant warehouses were eventually converted into offices, shops, and carparks as the central business district expanded. Population in Bridgetown expanded after emancipation in 1834 and even more so after fluctuations in the sugarcane industry drove workers to coastal areas. Diversification of Barbados' economy from the 1950s into the 1970s brought greater settlement to Bridgetown, moving simultaneously with urbanization. The Greater Bridgetown Area experienced an average annual growth rate over 14% between 1920 and 1960, with a population growth rate of just under 5%. By the 1970s the urban boundary began to stabilize, with population added through intensification of existing land. By 1980, the population of Bridgetown was 106,500, representing 43% of the country's total. Social development and poverty alleviation policies soon followed, beginning in the urban parish of Saint Michael, then later spread to rest of the island. Continued subdivision of tenantries began to generate a crisis of poor street access, awkward shaped and tiny lots, and a lack of communal spaces. Whether private or publicly led, sites were developed without an integrated planning approach. Most recently, several significant initiatives have celebrated and elevated the importance of the remarkable history and heritage assets of Bridgetown. In 2011, Historic Bridgetown and its Garrison was recognized as a UNESCO World Heritage site. This fundamental recognition is a critical input into the current PDP Amendment process and has shaped the boundary of this Community Plan. New green public spaces were formed with the creation of Jubilee Gardens, Independence Square and Church Village Green. The recent Constitution River Upgrade has restored the river channel and connections along the corridor. In the early 2000's the restoration of the Nidhe Israel Synagogue and its mikvah and more recent completion of the first phase of Synagogue Block restoration are acting as a demonstration of, and potential catalyst for, reinvestment in cultural heritage in the Bridgetown core. Its Neo-Gothic architecture captivates you as you cross the Chamberlain Bridge in Bridgetown. Stop and take a moment to absorb the fact that you are standing before the building housing the third oldest parliament in the Commonwealth of Nations after Britain and Bermuda What's even more enthralling is that you can visit the fascinating Museum of Parliament and National Heroes Gallery, which is absolutely fascinating! A visit to the Blackwoods Screw Dock will leave you enamored with the rich cultural heritage of Barbados, as you walk along the only remaining Screw Dock of its kind in the world! Take a walk through history as you enter the Historical Maritime Centre featuring interesting and unique artifacts, displays and photos of Barbados from the 19th and 20th centuries. Nestled in the heart of bustling Bridgetown, the Nidhe Israel Synagogue is one site you should seek to discover. This synagogue goes a long way in telling the story of Barbados, and it stands proudly as the oldest consecrated Jewish Synagogue in the Western Hemisphere, built in 1654. The newly opened museum on site is simply awe-inspiring! The Barbados Museum and Historical Society's galleries are housed in 19th century military prison buildings, and reveal the island's rich history. This museum is a full repository of Barbados, from the indigenous people, to the European settlers and colonialism to slavery, emancipation and independence. Get to know this beautiful island by immersing yourself in the history of its people. Imagine walking through the house in which George Washington stayed, with rooms set up just as they were in 1751. In Barbados, this unique experience is definitely possible! George Washington House comes alive with the tale of 19-year-old George's only trip outside of the continental United States of America. George's visit to Barbados changed the course of global history. Mary Church, located in Bridgetown, capital city of the country and the largest city, is a historical church built in the 1600s. This church was renovated and reopened in 1800s. It is one of the most important religious structures of the country. The Church is also quite larger thank most of the Parish Churches situated across the island. The elegant design of St. Mary's interior and its Georgian, neo-classically inspired exterior design makes it a truly impressive structure. The Cathedral of St. Michael and All Angels was first built in 1628 on the site now occupied by the St. Mary's Anglican Church. The current structure was built in 1784 with a beautiful barrel vaulted ceiling. Venture through the graveyard, which is filled with the graves and tombs of important dignitaries such as Sir Grantley Adams who was the first Premier of Barbados. The Barbados Military Cemetery is located in the heart of Needham Point. The cemetery dates as far back as the 1780s with the earliest identifiable grave is dated 1822. The site is dedicated to the men and families of the British forces who died serving in Barbados from 1780 to 1907. The effort of these soldiers saw no enemy forces ever landing on the shores of Barbados. The cemetery is well maintained and is still in use for those who served with the Admission to the cemetery is free, however donations are welcomed. Walking along the Wharf Road, the large Caribbean Georgian structure, and the 18th century ballast brick building would certainly stand out. The former is known as Marshall Hall, which was a popular entertainment hall built in 1861 the latter is The Old Spirit Bond which dates back to the 18th century and was used as a rum warehouse. This ornate building is one of the most strikingly beautiful buildings in Historic Bridgetown, and dates back to 1895. It features late Victorian architecture with elegant silver domes and a balcony, which wraps around most of the second story. The outstanding iron work was imported from England and Scotland, and to this day most of the original structure has been preserved. This two-story building was built in 1730 and once housed meeting rooms for the Council and Assembly and even the Town Jail. After many years of disrepair, the building was beautifully restored to its present state in 2003, but the southern and eastern walls were preserved in order to maintain its architectural heritage. 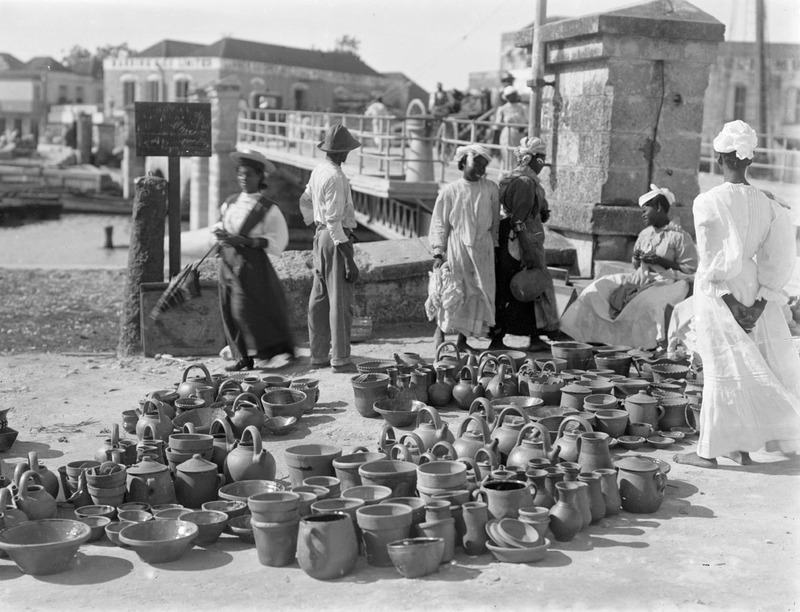 After the cholera outbreak of the 1800s, piped water became a priority in Barbados. This fountain, located in Heroes Square in Bridgetown, signifies the commencement of piped water to Bridgetown on 29th March 1861. As one of the first nations to have piped water to every household, Barbados has one of the oldest piped water infrastructures in the western hemisphere. In 1865, wealthy Swan Street merchant John Montefiore gifted a drinking fountain to the people of Barbados in memory of his father- one of the first to die from cholera in Barbados in 1854. Opened to the public in 1865, the cast iron monument was regarded as "a little gem of architectural beauty", and was initially located in Beckwith Place before being move to the current location in Coleridge Street. The statue erected in Bridgetown in Admiral Lord Nelson's honor is widely regarded to be made in his exact likeness. Indeed, it is a historical feat since it predates the Nelson monument in Trafalgar Square in London by almost 30 years. Public perception at the time was that Nelson was a hero and should be honored for his victory and for protecting the nation from French siege. This monument was erected in 1925 in remembrance of the soldiers who fought and died in World Wars I and II. Each year on the Sunday nearest to November 11th, Armistice Day, a solemn service and parade are held in the vicinity of the cenotaph in recognition of the service provided by these men and women. Known as the 'Father of Independence', Barbados' first Prime Minister, The Rt. Hon. Errol Walton Barrow had a profound impact on the political, social and economic landscape of Barbados. A statue made in his image therefore rests commandingly in Independence Square overlooking the Parliament of Barbados. The statue is an important stop on any tour of monuments in Barbados. Twenty-one years after Independence on November 30th, 1966, the Independence Arch was installed to celebrate this achievement. Adorned by important national symbols, including the coat of arms and the national motto, this Barbadian hallmark of sovereignty continues to shadow the Parliament of Barbados as a constant reminder that we are indeed 'masters of our own fate'. Located in Bridgetown, this monument marks the former site of Codd's House, which was leased to be used as the New Town Hall where Parliament met from 1837 to 1849. It was at this site where full freedom for thousands of previously enslaved Barbadians was proclaimed on August 1st, 1838, when Parliament passed the historic Emancipation Act. The Monument also recognizes the site asbeing a former Quaker burial ground. Located in front of the Government Headquarters on Bay Street, the statue of Sir Grantley Adams commemorates one of Barbados' National Heroes. He was the first Premier of Barbados and served as the first and only Prime Minister of the West Indies Federation. Sir Grantley Adams, after whom the Grantley Adams International Airport is named, was well-known for his tireless efforts in social reform, as he fought for the rights of Barbadians, especially the under-privileged. It was on this very site on November 30th, 1966 that the Barbados flag was first raised, breaking centuries of British rule of the island. Standing majestically overlooking the Garrison Historic Area, the Barbados flag at the north end of the 50th Anniversary of Independence Monument is a "site" to behold. The Barbados National Cannon Collection is the rarest collection of 17th Century English iron cannons in the world. If that's not enough to make them a treasure, the collection is one of two, which include a gun with Cromwell's Republican Arms. While you can view several cannons around the Garrison Savannah, the rare beauties lie at the Barbados Defence Force, St. Anne's Fort. The Clock Tower was constructed in 1803, adding to the exceptional composition of this military space with its unique George III Coat of Arms, in Coade stone. Visit the Clock Tower at noon every Thursday (November- April) for the opportunity to witness the changing of the sentry, which is a traditional military tribute dating back to the 1700s! Take a journey back in time through The Garrison Tunnels, which are over 150 years old and feature miles of networking underground shafts. The tunnels facilitated the secret movement of soldiers, which allowed them to travel to locations throughout the military area, which are still undiscovered today The entrance to the tunnels is located at George Washington House. The monument in Golden Square to commemorate the lives of those lost in the 1937 labour riots. Located on the grounds of the Hilton Resort, is Charles Fort, erected at Needham's Point in 1650 by the British military to protect Carlisle Bay from any enemy attacks. Exchange - a place of mystery and discovery, established as a major new heritage resource by the Central Bank of Barbados, features two permanent displays on the upper floors - one that chronicles the history of trade, commerce, and banking, and of its parent organization; and another that focuses on Freemasonry and education in the island's early years. Church Village Green, the new public recreation facility located near St. Michael's Row, has been named the Americas Property Awards' "Best Commercial Landscape Architecture Americas". The Green, which was officially opened in March 2014, is part of the Central Bank of Barbados' and the Barbados Tourism Investment Inc.'s ongoing redevelopment of the area. The facility is solar powered and utilizes a rain water irrigation system. St. Patrick's Cathedral Parish is situated in the heart of Bridgetown, Barbados. It attracts people from far and wide because of its architectural beauty and its history.